To Dr. Marmorstein's (and other researchers') delight, these new cells, which are created from induced pluripotent stem cells, are proving to be "of better quality than the standard RPE cells" used in research. And demand is growing, according to Twin Cities Business magazine. There's just one catch. (Isn't there always?) The process for making the new cells "is not trivial" and is "more expensive," according to the P-B. And so in 2015, Dr. Marmorstein launched LAgen Laboratories, a start-up company that focuses entirely on the "time-consuming," "expensive" and "particular" process of growing the cells for use by scientists at academic research facilities around the world. Using the process he helped develop (and has since licensed from Mayo Clinic), Dr. Marmorstein and his small team at LAgen grow the cells in their "biologics manufacturing facility" in Rochester. When the cells are ready, researchers can order them "in flasks, in multi-well plates, and in other forms." 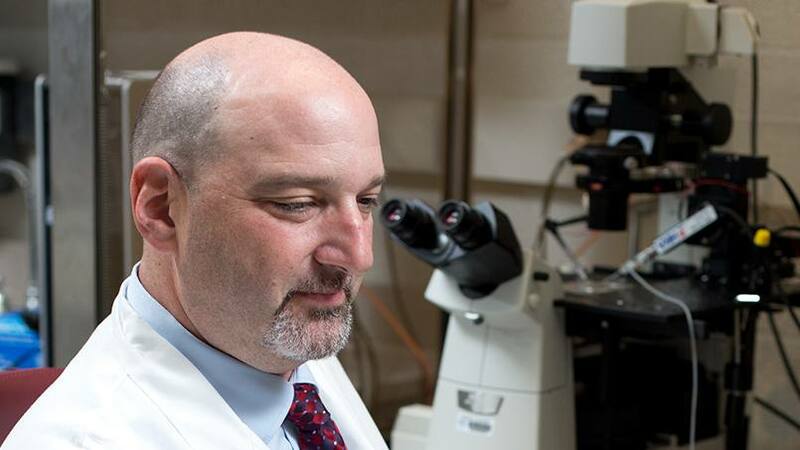 "It's painstaking to generate these cells, but they're necessary to develop treatments for RPE-degenerative diseases such as macular degeneration, which affects as many as one-third of people older than 75," Dr. Marmorstein recently told Mayo Clinic's Alumni magazine. And while the P-B notes that business is booming for LAgen, Dr. Marmorstein tells the paper his young company's "ultimate goal is to treat macular degeneration." You can read more about Dr. Marmorstein's work to rid the world of inherited eye diseases here, here and here. Then be sure to show your support by sharing your comments below before you use the social media tools atop this page to share this story with others.